CESA, CEDA and the FCSI host charity race day in aid of Hospitality Action. 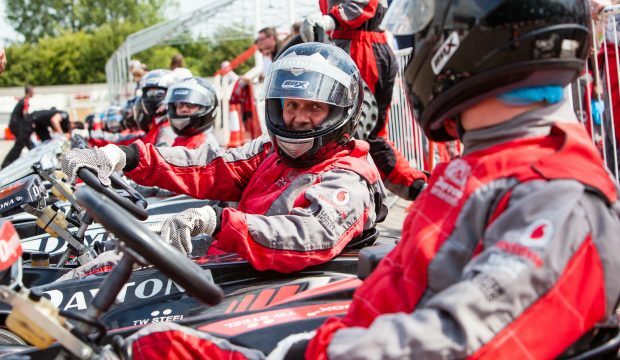 CESA is inviting all the petrol heads of the catering world to compete at the Foodservice Industry Race Day on Thursday 13th September 2018 at Daytona Milton Keynes. The fundraising event, which is being held in support of Hospitality Action, offers the chance for drivers to bring their A-game to the go-kart track for a good cause. The day begins with breakfast, followed by a full briefing from circuit staff and includes all safety equipment. Then the action gets underway with practice laps to set the grid positions. Once the order of the grid has been settled, it’s time for the main event: the team endurance race. Drivers from each team will line up for their stretch of the contest, taking it in turns to last the distance in this two hour endurance event. Glenn Roberts, chair of CESA says, “We are looking forward to a fantastic day of competitive fun. It’s a great way to network and raise money for a good cause.